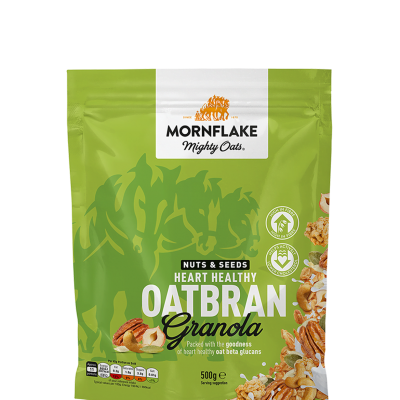 Our high fibre Fruit, Nut & Seed Granola combines our signature oats, toasted, with no added sugar – just the natural sweetness of juicy raisins. 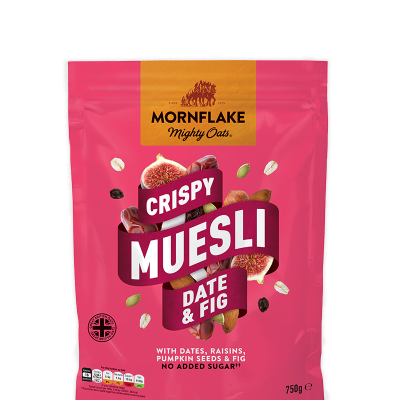 Mornflake OATFLAKES (55%), Dried Fruit, Nuts & Seeds (27%) (Raisins (15%), Pumpkin Seeds (4%), ALMONDS (3.5%), HAZELNUTS (3%), Desiccated Coconut, Sunflower Seeds), Maize Maltodextrin Fibre, Palm Oil, Natural Flavouring. For allergens, including cereals containing gluten, see ingredients in BOLD. 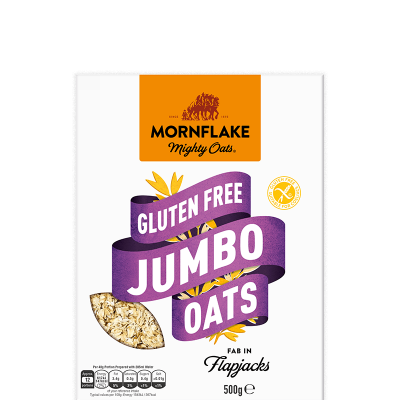 Also, not suitable for WHEAT, BARLEY, MILK, SPELT or RYE allergy sufferers due to the methods used in the manufacture of this product. 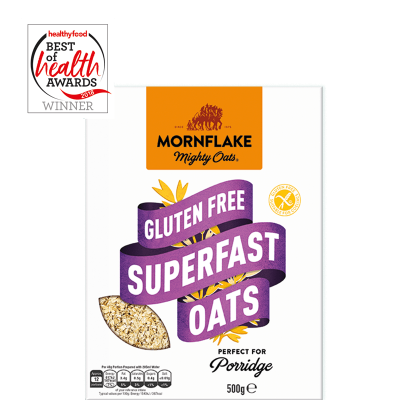 * As part of a varied balanced diet and a healthy lifestyle, oat beta glucans have been shown to help lower blood cholesterol. Blood cholesterol lowering may reduce the risk of coronary heart disease. 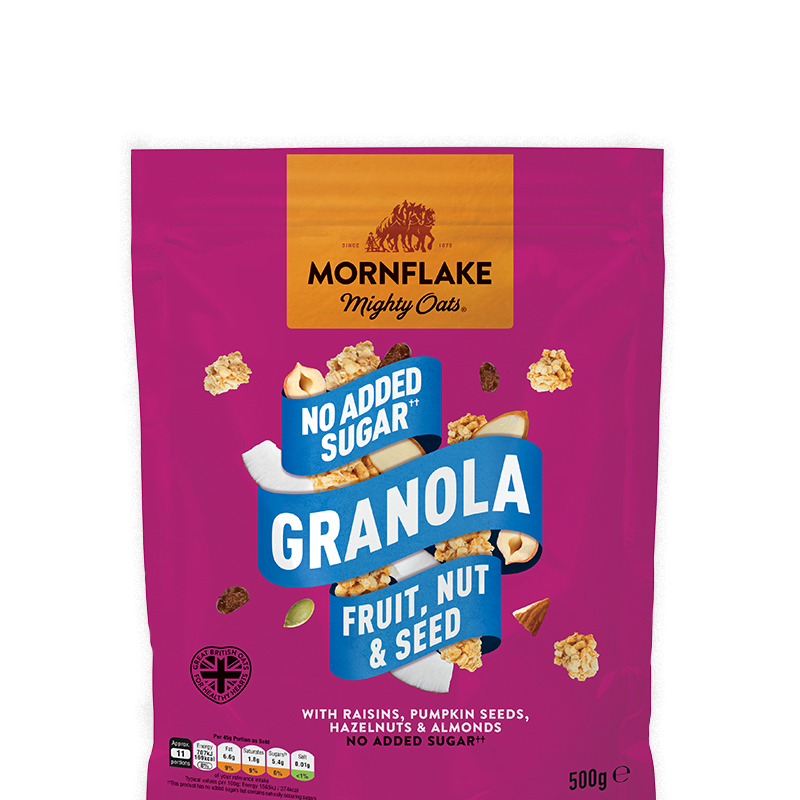 One 45g portion of Mornflake Fruit, Nut & Seed No Added Sugar Granola provides at least 1g of beta glucans from oats, which is 33% of 3g, the suggested daily amount.